When I requested blog privileges, I really thought I was going to focus on education and waste in California state government. But these Benghazi hearings have got me so upset I just felt like I needed to start with the hot topic of the day. Especially because it’s not being treated like the hot topic of the day. Let’s face it. It is really the most important issue we’ve had in decades. And here is why, Hillary. It matters because if people were incompetent and Navy SEALs ambassadors died – we need those mistakes corrected. If security was ignored to achieve political goals and lies were told to cover up the mistakes – those people need to be thrown out of government for good. And here in Orange County we have several members of Congress who are in a unique position to get answers on many of these questions. San Clemente, Dana Point, San Juan Capistrano, Coto de Caza and Ladera Ranch Congressman Darrell Issa is, of course, the central Republican figure in the investigation as the Chairman of the House Oversight and Government Reform Committee. Previously, Issa served on the House Permanent Select Committee on Intelligence and the Foreign Affairs Committee. Issa knows his stuff. Congresswoman Loretta Sanchez is always happy to tell you how she’s the highest ranking female of the Armed Services Committee. Loretta Sanchez is not only on the House Armed Services Committee, she is the Ranking Member on the House Armed Services Committee Tactical Air and Land Forces Subcommittee and she is on the House Armed Services Committee Subcommittee on Strategic Forces. Loretta Sanchez is also on the Committee on Homeland Security and on the Committee on Homeland Security Subcommittee on Counterterrorism and Intelligence. 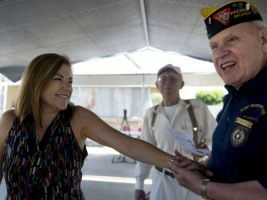 Rep. Sanchez brags that she founded and chairs the Congressional Caucus on Women in the Military and serves on the Congressional Military Families Caucus. She couldn’t be in a better position to get real answers on who is responsible for the Benghazi cover-up. Congressman Alan Lowenthal is a member of the House Committee on Foreign Affairs, where he sits on the Subcommittee on Terrorism, Nonproliferation, and the House Committee on Foreign Affairs Subcommittee on Europe, Eurasia, and Emerging Threats. He also is a member of the Veterans Jobs Caucus. 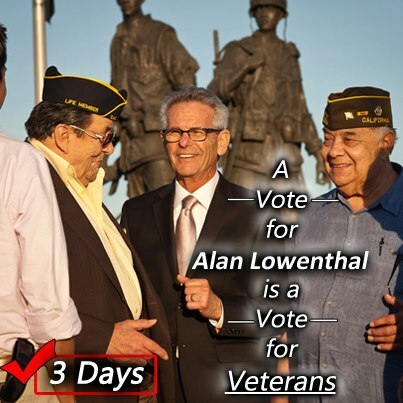 Every veteran that shows up for an Alan Lowenthal job fair should demand answers for their fellow Americans killed and put in harms way at the Benghazi consulate on September 11, 2012. Congressman Rohrabacher is a senior member of the House Committee on Foreign Affairs. He serves as Chairman of the Subcommittee on Europe, Eurasia and Emerging Threats and as a member of the Subcommittee on Asia, the Pacific, and the Global Environment. Representative Ed Royce became the Chairman of the Committee on Foreign Affairs in January 2013. He is serving his 11th term in Congress, representing Southern California’s 39th district. As a longtime active member of the Foreign Affairs Committee, Royce is known for his knowledge of many different regions of the world and analytical foresight into key U.S. foreign policy issues. Immediately prior to becoming Chairman of the Committee, Royce served as Chairman of the Subcommittee on Terrorism, Nonproliferation, and Trade and a member of the Subcommittee on Asia and the Pacific. OC Congressman John Campbell is known more for his expertise on finance than National Security, but if any funding is blocked for departments that are stonewalling on Benghazi answers (hypothetically of course,) I’m sure Campbell wouldn’t hesitate to participate as a Republican member of the House Committee on the Budget. And lastly for Orange County, is Loretta Sanchez’s sister, Linda. No one trusts Democrat Congresswoman Linda Sanchez near anything important, but she could show an interest as a member of the Congressional Victim’s Rights Caucus. And as we look to our neighbors in Riverside County, I’m sure we can count on diligent support of our military from Congressman Ken Calvert. But how will freshman Democrat Congressmen Mark Takano and Raul Ruiz react? Will they help deflect attention from the real questions or will they demand an open and honest government that lives up to its hype as the “most transparent?” Let’s look at the Riverside County Congressional representatives’ committee memberships. Rep. Calvert serves on the House Committee on Appropriations and is a member of the Subcommittees on Defense; Interior and the Environment; and Energy and Water. Rep. Calvert also serves on the House Committee on the Budget. Not even one year into his first year in Congress, Mark Takano serves on the House Committee on Veterans’ Affairs and his website says that “Securing our nation from foreign threats, including terrorism, must be a priority of Congress. It is critical that our military personnel have the equipment, resources, and support they need to protect this country.” Does 20 hours for jet fuel to send in a rescue team sound to you like we “have the equipment, resources, and support they need to protect this country” ? Me neither. Even though the Los Angeles/Orange County local television coverage of the Benghazi hearings has been as lacking and nonexistent as the national coverage of the Benghazi hearing, these lies are eventually going to exposed to the public – as long as we keep asking questions. The questions are too big and the consequences have been too horrible to ignore forever. We will really see which of the Democrats are liberals which of the Democrats are just partisan liars. I hope to track on this blog the lies told by the Orange County Democrat Members of Congress to cover-up Benghazi. I also hope to track on this blog which Democrats are willing to be honest about mistakes made and inconvenient truths that need to be told. How long does it take to get jet fuel in southern Europe or North Africa? And what efforts were made to ask other counties for assistance? Did Hillary change the security level at the Benghazi consulate? If the CIA talking points on the day of the attack, had only an attack and Al Queda mentioned, but no protest in Benghazi or video, why did both President Obama and Hillary tell Pat Smith (the mother of Sean Smith, killed in Benghazi) 3 days later that the reason for the attack was the video? 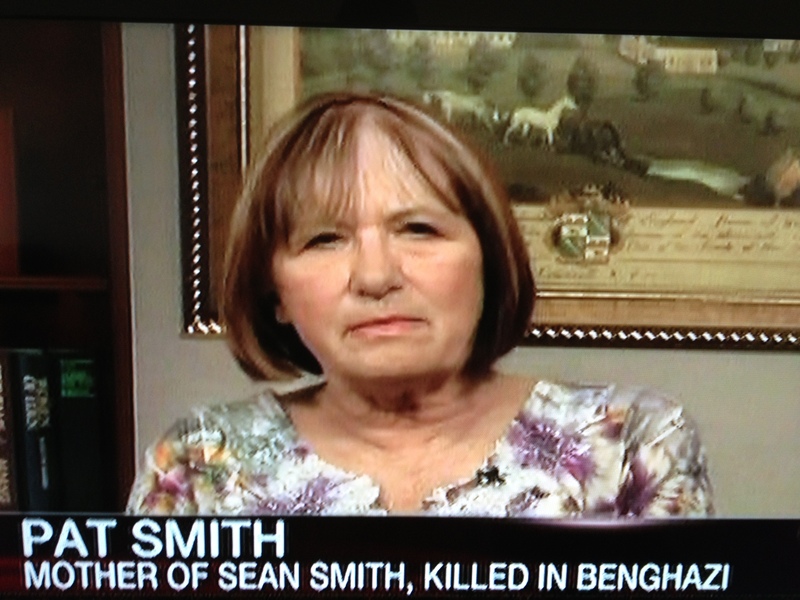 Pat Smith told FoxNews on May 13 that Obama, Hillary, Panetta and Susan Rice all hugged her and told her “Face to face, nose to nose” that the video was to blame for he son’s death. We now know, that the President, Hillary, Panetta and Rice all knew that this was not true – and they lied to the face of a mother who had lost her son. Every political activist that wants to honor the memory of Sean Smith in the appropriate way that the President, Hillary, Panetta and Rice will not, by finding out the truth, need to pull out your iPhone at the next community coffee or town hall and ask one of these tough questions. Post the answers on YouTube. Eventually Democrats will have to admit so many facts that are damaging to the above mentioned 4 officials that they will start to denounce the actions and call for their removal. Or the local Democrats will lie and cover up and the mountain of evidence on YouTube and social media will force them to go down with the Obama/Hillary ship on this series of poor security decisions and lies.